movie | Srishti smiles away! The movie was overwhelmingly mindblowing! Right from the very first scene, I knew this was going to be good. And when I say good, I mean CRAZY good. And I was right about that. Yes, the film showed some really silly gravity defying stunts and it was a little bit cliched at times. Also, the plot could’ve been stronger, considering how Dom’s group was fighting Somalian terrorists for a computer program and it’s maker, all of which basically had nothing to do with them, all because a covert ops team proposed to ally with them in return of their help to deal with Deckard Shaw. I mean most of the time they were just fighting a third party, when actually their enemy was just one person. That looked a teensy bit off to me. BUT, who cares?? I mean, despite all these little flaws, this movie has everything you want to see in a blockbuster. Who doesn’t want to see cars skydiving from an aircraft and racing through one skyscraper to another at such high altitudes? Call it mindless all you want, but you can’t deny, it was fun to watch. Jason Statham, the new addition to the movie’s cast, playing Deckard Shaw was brilliant in his role. That guy had some real issues though, throwing bombs everywhere and at everyone. An extremely strong antagonist and a very tough one to beat. He practically looked ‘indestructible’ to me throughout the movie. I really really hope he comes back in the next installment. 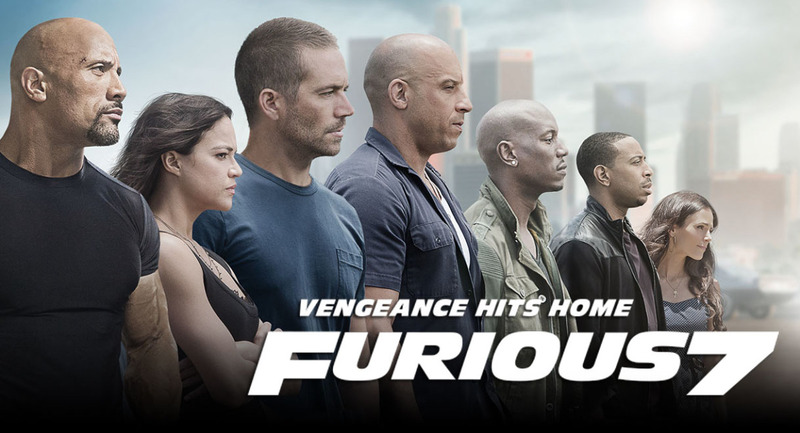 Vin, Paul, Michelle, Dwayne, Jordana, Tyrese and Ludacris were all fantastic as usual. Putting all of it’s action packed, adrenaline rush inducing, edge-of-the-seat thrill aside, we all know what this movie stood for. This movie was meant to be a tribute to it’s late actor Paul Walker and that, it did beautifully. Salute to it’s makers, who gave this movie an exceptionally moving and poetic end, and more than succeeding in bidding a warm farewell to a departed family member. In the last scene, you could see it in Vin Diesel’s eyes… it wasn’t Dom saying goodbye to Brian, it was Vin saying goodbye to Paul. That scene gave out some major sentimental vibes. The song ‘See You Again’ by Wiz Khalifa and Charlie Puth only added to the beauty of the climax. It got me, to be honest. And every single person at the cinema. In my twenty years of life, I had never seen the entire hall clapping in unison at the end of the movie. But it happened today. That in itself says how much people loved Paul.